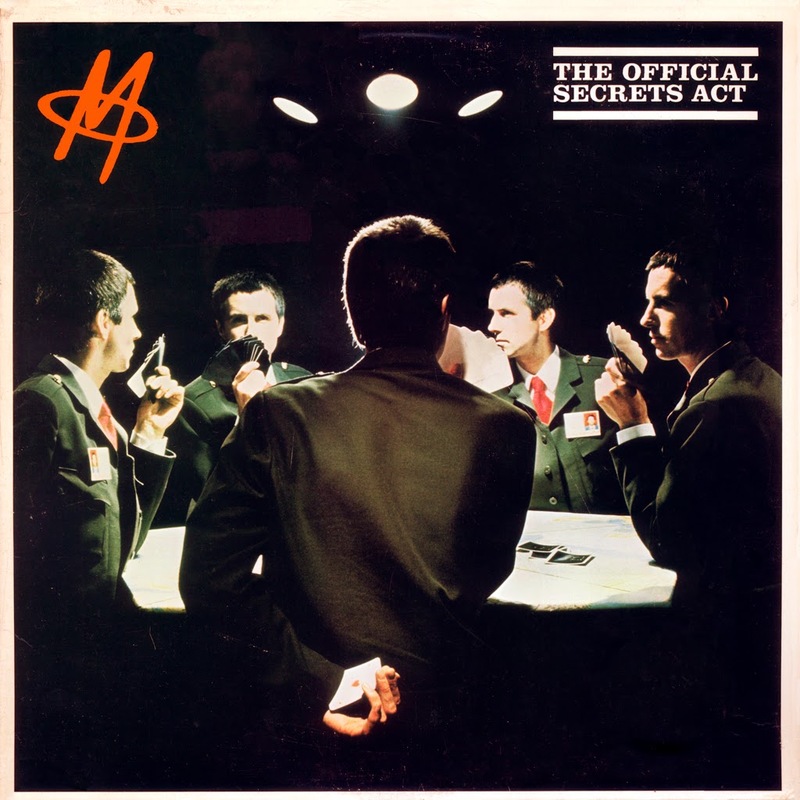 For years, it seemed that whenever I’d go to a used record store, I’d always find a copy of M’s 1980 album The Official Secrets Act (and strangely, none of his other records). 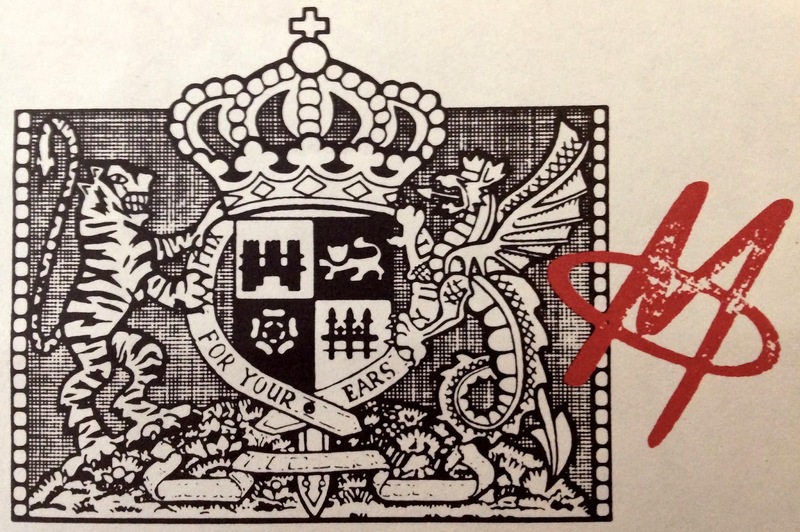 The Official Secrets Act is a pop masterpiece. This record surpasses the excellent New York London Paris Munich, and that’s saying something. M’s last official record, Famous Last Words, featuring Thomas Dolby and Ryuichi Sakamoto, isn’t up on the level of the previous two, but it’s still got a handful of classics (“Neutron” is one of the catchiest songs ever, at least amongst songs about the bomb). I never bought the fourth, unofficial M record (recorded under his real name, Robin Scott, though it’s still worth grouping with his M stuff), Jive Shikisha, recorded with African vocal group Shikisha, a fusion of western pop with African tribal music, showing off Scott’s talent for solid pop hooks. From what I’ve heard, it’s all right… if you’re into that sort of thing, which I’m not (though it didn’t turn me off immediately like that kind of fusion does, either). But enough about the other records. If I had to classify The Official Secrets Act’s “genre”, I’d call it Paranoid Dance Pop. In fact, that could refer to much of M’s music, but this album is his most paranoid of all. The theme of the album, as you might imagine from the title, is totalitarianism. The album opens with “Transmission”, a composition based around snatches of fabricated radio transmissions, with swirling static as bits of information drift in and out – including a sly jab at his previous success (A eastern-European voice telling people to stay tuned for “Pop Muzik” after the news) and great one-liners (“I love the American sense of humor. Sometimes I wonder if the Moon landing ever left Hollywood”). From there, it leads into “Join the Party”, the strongest contender for a single, and about the closest to anything on New York London Paris Munich — a dance song that plays off of both types of “party”. One of the charms of Robin Scott is the way he sings: often he’s either neurotically frantic or totally sarcastic. It’s the latter in “Join the Party”. The narrator of the song is one of the behind-the-scenes types, and when he sings “Are there any people here tonight / who believe they’re equal in every right?”, it’s just dripping. Removed from context, it might sound a little odd, but considering the song is an intentional confusion of “party” and a comment on distracting people from issues with fun, with lines like “Your manifesto is to get up and dance” and “Hey man, your slogans are outta sight / Get yourself elected, right here tonight,” it fits right in. In most of the other songs, however, the narrator is front and center. “Relax” takes two different points of view: the first 3/4 of the song is from the perspective of someone who knows something he shouldn’t (it’s never made clear who exactly he is; perhaps a spy, or perhaps a normal guy who just happened to be in the wrong place at the wrong time), and the final quarter’s changed (still Scott singing) to the government technicians who’ve sedated him through their special, shall we say, techniques. In “Keep It to Yourself” (like “Unite Your Nation” from New York London Paris Munich) he’s a dissident along with collaborator/then-girlfriend/vocalist Brigit Novik, who sings “Why are you silent?/You can speak your mind/We are indifferent/Partners in crime”. And in other songs, like “Your Country Needs You”, he’s a detached observer reporting on events as they happen. The final song, “Official Secrets”, stands as the proud conclusion to his work, restating his main points like a good five-paragraph essay should. The union of “Transmission” and “Official Secrets” provides the album with its structure and emotional arc. It’s a dark record – but also a very catchy one. Every song on the album has a great hook and worms its way into your head and doesn’t leave. The album’s heavy in atmosphere, but doesn’t go the way of relying on soundscapes, either. you can just drop the needle anywhere and have a really good time. The CD adds a bunch of bonus tracks, and while they’re all great (especially “Don’t Believe What the Papers Say/Bride of Fortune”), they’re not necessary to the enjoyment of the album, and not all of them really fit. A number of the bonus tracks are from an EP that Brigit Novik made with Scott, which, while still very good, doesn’t fit the album’s theme. Where the album is dark, eerie, depressing and industrial in its feel (not industrial like the type of music, but rather in the sense of a polluted-factory-no-nature type sense). The EP tracks are more bright, cheery and pastoral, like a 19th-century folk celebration… no government thugs going to carry anyone off to torture them for what they know here. The beautiful thing about how pretty much every record store has Official Secrets Act (I assume they still do, even though I haven’t looked for a while), is that they’re usually super cheap (When I bought my copy, there was a beat-up one for 99 cents, and a nice one for $2. I went for the nicer copy, of course), which means that they’re relatively easy to find (I’m talking about the LP here, not the CD, which is a bit harder to find and probably more in the neighborhood of $20) and cheap. Flip through the miscellaneous “M” bin. There’s a good chance you’ll find this LP, and when you do, pick it up. It’s definitely worth the two bucks.